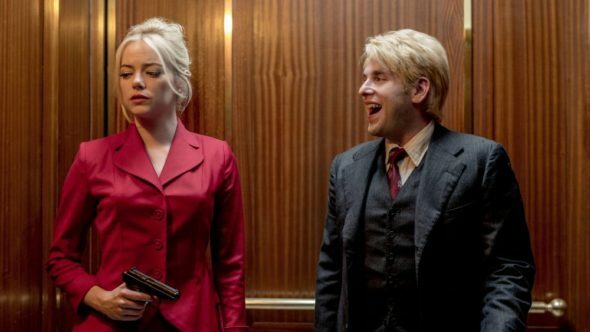 The best new American television show of the year, maybe hella longer, Maniac is a drunken hybrid of FX’s Legion and the comedy of Mel Brooks. Serendipitously released at the precise instant when the nation is experiencing a full-blown break from reality, Netflix’s original series presents whimsical storytelling as a remedy to emotional torment and psychological trauma. Careful not to neglect the role of pharmaceutical intervention and cognitive therapy in mental health, Maniac gooses standard medicine with heaping spoonfuls of comedy sugar, all while obliterating genre constraints. It’s f**king genius, and it’s f**king insane the Internet is not littered with rave reviews. Jonah Hill, whose entire acting approach usually feels like listening to a guy explain why it’s cool for Taratino to use the N-word, is career-defyingly restrained as Owen Milgrim. Owen is a schizophrenic being asked to lie for his brother in court. The exact allegation is initially unclear, but it’s crystallized 100 that his bro totally did it. Days before he’s due in court, Owen gets called by a pharmaceutical company to participate in a drug trial for a three-stage medication designed to replace conventional therapy. Once there, he meets Annie (Emma Stone), a character who would have been a manic-pixie-dream-girl in 99% of other reductive fiction. Tormented by the fallout of a tragic event that is exacerbated by her family history, Annie cons her way into the testing because she’s hooked on illegally acquired doses of the first-stage pill. The two soon find themselves subjected to the whims of wildly unscientific scientists, Dr. Azumi Fujita (Sonoya Mizuno) and Dr. James K. Mantleray (Justin Theroux). Owen and Annie bounce back and forth between each other’s fantasies, which play out like mini-movies that each span a few episodes, all while fumbling and fighting toward something that loosely resembles inner peace. Created by Patrick Somerville and Cary Joji Fukunaga, who also directed, Maniac alternates between sledgehammer and feather. The alternate realities Owen and Annie stumble through could each have merited a full season. There’s a Coen Brothers-esque lemur heist, a Tolkien-esque fantasy quest, a Scorsese-esque mafia goof and a Kubrick-esque Dr. Strangelove riff, to name a few. These play out against Sally Field’s unhinged performance as a Dr. Phil-ish pseudotherapist who is forced to confront an artificial intelligence made from her writings, referred to as a “mommy computer.” The only constants in the madness are Stone’s defiant believability in the most impossible of settings and Hill’s impressively languid despair. What’s most amazing is Fukunaga’s ability to simultaneously negotiate and balance the inherent silliness and potent drama. At those key moments when Annie is nose-to-mirror with her demons and Owen is asked to finally value himself, Theroux is busy doing pratfalls and juvenile schtick. And somehow it works. Oh good Lord, does it work. Maniac is flawless. From the appropriately fluctuating episode lengths to the way it never condescends to its audience, it is a singularly special limited series that’s apparently too good to be rabidly embraced. The show doesn’t have the hubris to suggest that fantastical narratives alone may save us from the cruelty of the world as it now is, it simply exists as proof that maybe that’s what can help us get by.